"Alive, oh to be alive once more." The above info came from Mad Jack and Bill, and was edited by yours truly (contact me). The image came from Gary's InuYasha Page. Mistress Centipede was the first demon InuYasha and Kagome encountered. She is also responsible for bringing Kagome to the feudal era. Recently killed in the feudal era, Mistress Centipede's bones lay in the Bone Eater's Well until Kagome wanders in there looking for Buyo (her cat). The Shikon No Tama inside Kagome was powerful enough to ressurect the upper torso of Mistress Centipede, thereby allowing her to break through the seal of the well and grab Kagome, bringing her to the feudal era. When she grabs ahold of Kagome, Mistress Centipede's lower torso revives. Mistress Centipede then attempts to get the Shikon jewel from Kagome, but gets pushed back, causing her to lose part of her top right arm. Mistress Centipede later attacks Kaede's village searching for Kagome. She finds Kagome and chases her into the forest. After a struggle, Mistress Centipede is able to rip the Shikon Jewel out of Kagome and injest it. Even though she was completely powered up by the Shikon jewel, when Kagome freed InuYasha, he easily killed Mistress Centipede. The above description came from Bill, and was edited by yours truly (contact me). 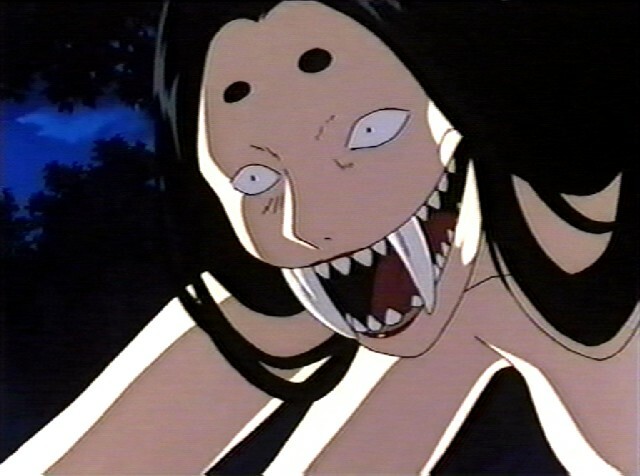 The Mistress Centipede was the first baddie in the series of InuYasha . She is a demon in the form of a giant centipede lady. She is the demon that rips the Shikon Jewel out of Kagome and swallows it to raise her demon power to the max. Later, InuYasha was freed from the tree that he was being held to and killed the demon. The above description came from Mad Jack, and was edited by yours truly (contact me).